Use for joining the edges of boxes, adding a finishing touch to the edges of boards or hinging album pages. 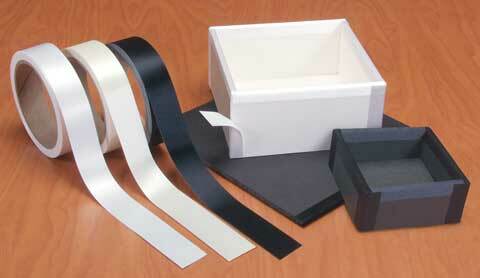 The satin has a low luster finish, and the self-adhesive tape is easy to use. The roll measures 1" x 36'.